...apparently I do, even when its snowing outside! 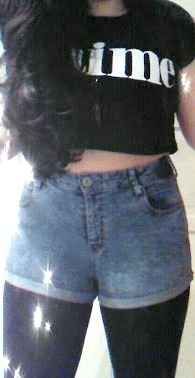 Yes, today, I really wanted to wear my denim shorts and new crop top, so, despite the snow, I did it! Just so you all know, I did wear two pairs of tights and I did wear a coat, I didn't freeze to death, in fact absolutely no one saw my crop top as I didn't remove my jacket once! So I only went to town for a couple of hours but I thought before I left I would take a few quick pics! I'm not feeling amazing today so please excuse the lack of my face, I just wanted this ootd up as I have loaaads more planned to come! So my top is from Primark, it says j'aime with a little Eiffel tower, it was £4, my tights are also from Primark, I have two pairs on each were £2, and my shorts are from River Island and were £25. 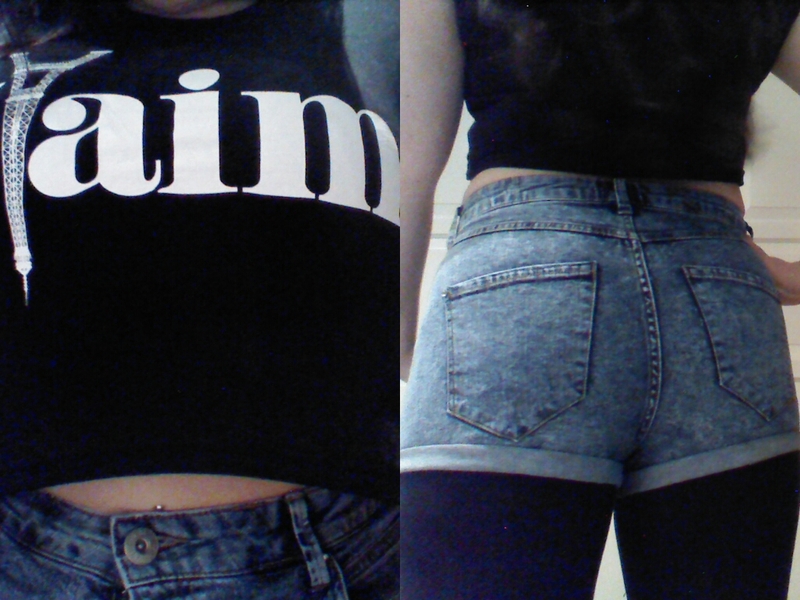 Literally love these shorts too much! My little zipped Chelsea style boots were in the f&f sale and only cost me a tenner! Unfortunately, I didn't get any photos with my jacket on but, I just shoved my Mango boyfriend style jacket over with my faux fur sole and my black mittens to keep my hands warm! Hope you like, as I say, more OOTD's to come, loads! You're a brave lady to wear short shorts in this weather (even with two pairs of tights!) but I've got to say you totally rock them! Weekend Wishing - New Find Fashion Retailers!